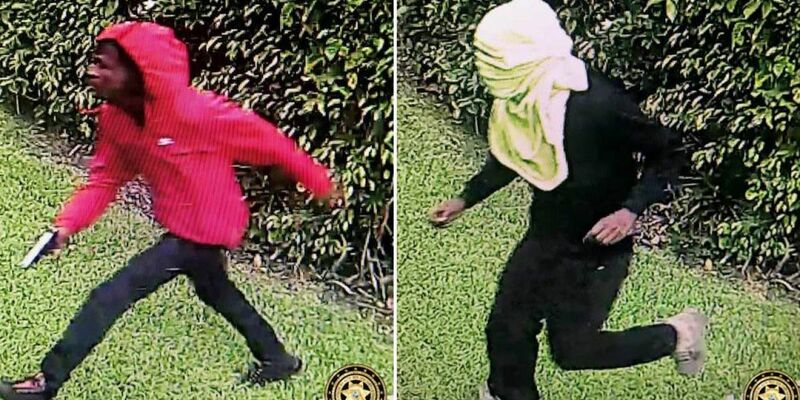 BOYNTON BEACH, Fla. — Boynton Beach police are looking for two people who broke into a home and held a resident at gunpoint Thursday morning. Police said the break-in and theft occurred at a house located in the 2100 block of NE Second Ct. around 8:15 a.m. The home invaders pointed a gun at a man inside the house and then stole jewelry and a phone. The victim was not injured. The robbers are described as being in their early 20s, about 6 feet tall with slim builds. Call Det. Juan Montoya at 561-732-8116 or Crime Stoppers of Palm Beach County at 800-458-TIPS if you can help in the case. You can remain anonymous.